Irvine, Calif., Dec. 14, 2017 — A diverse group of 116,192 students, both incoming freshmen and transfers, have applied to the University of California, Irvine for fall 2018 – a campus record. It’s an increase of 12,000 applicants over last year’s high of 104,000 and a 41 percent increase over the last five years – the largest surge in the UC system, which has seen a significant rise in applicants this decade. 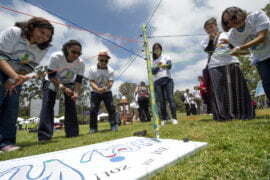 UCI remains a popular choice for high school seniors. Among UC campuses, UCI ranks third – behind only UCLA and UC San Diego ­– for total first-year applications (94,866). 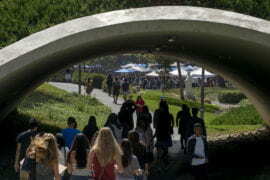 Of those, 71,130 come from in-state students, which places UCI second in that category. UCI received 94,866 freshman applications for fall 2018 – the third-most among UC campuses – with 71,130 of them coming from California residents. It also got 21,326 bids for admission from transfer students. The freshman cohort also includes the UC’s largest number of underrepresented minority California residents (29,978). The campus attracted the most Chicano/Latino applicants (25,930) and the second-highest count of African American applicants (3,770). 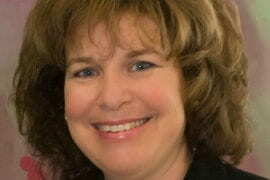 Almost half of in-state, first-year applicants (48.5 percent) are first-generation students. 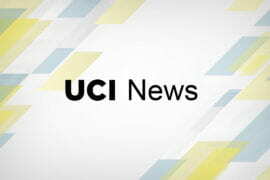 “These spectacular results represent exactly what we have set out to achieve: sending the message to California residents of all cultural or economic backgrounds that an exceptional education is not only available but affordable at UCI. Our campus is the best place to nurture and support their dreams and aspirations,” said Thomas Parham, vice chancellor for student affairs. The applications data also validates UCI’s recognition as a Hispanic-serving institution, which the campus received for the first time this year. 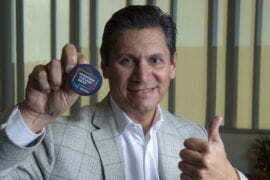 The federal designation is awarded to universities with more than 25 percent Latino undergraduates. 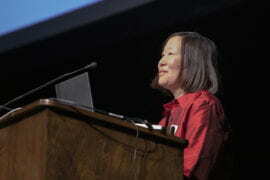 It builds on UCI’s status as an Asian American and Native American Pacific Islander-serving institution, demonstrating the school’s dedication to providing a superior education to every qualified student. 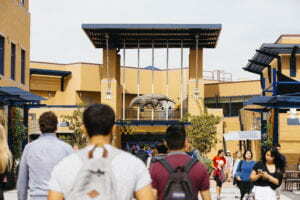 UCI is also named among the top-performing institutions for Latino students in a report released today by The Education Trust. 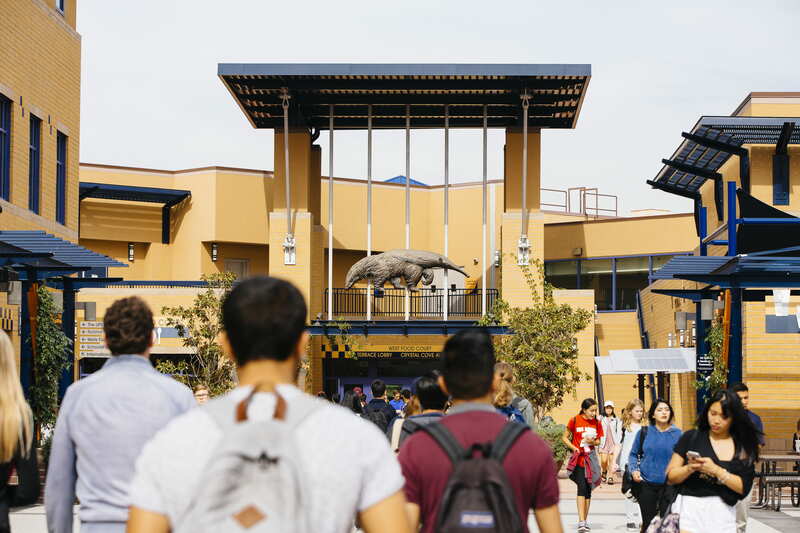 In addition, UCI participates in the Achieve UC initiative, which reaches out to schools and communities that have significant numbers of UC-eligible students but send relatively few to the university. 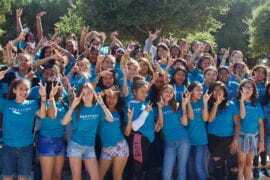 This year, for example, Parham visited students at Cabrillo High School in Long Beach to share the message that their academic goals can be achieved at UCI. 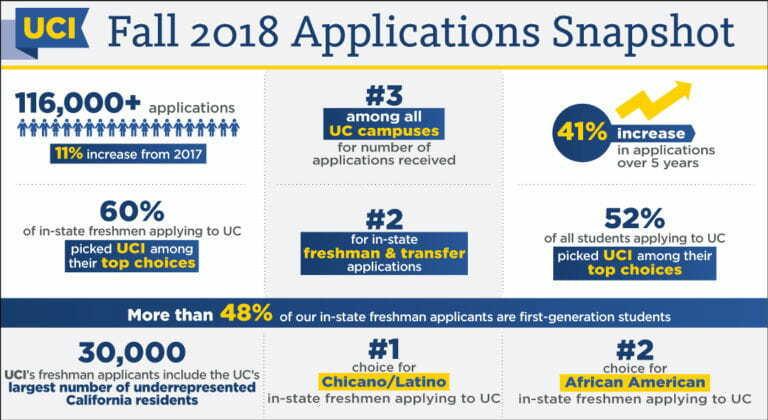 Commitment to diversity: Among UC campuses, UCI received the largest number of in-state underrepresented minority freshman applications (29,978), the most Chicano/Latino California-resident freshman applications (25,930) and the second-most African American in-state freshman applications (3,770). Outpacing the system: UCI experienced 11.5 percent growth in freshman applicants and 11 percent growth overall, compared with 5.7 percent and 5.7 percent, respectively, systemwide. 104,000 students can’t be wrong!